I love to travel, I think that is probably obvious to my readers. I love it so much that I even have a second blog, Fly Drive Explore, with my husband, Mr W. Now Mr W (Marcus) likes travelling so much that he doesn't like to come home, but I'm always happy after a trip to return to my little seaside town on the South Wales coast. After all, there is no place like home. I like to decorate my home with the odd travel inspired item and recently I've been looking to newly decorate our computer room with a travel theme. It will be somewhere to make videos for our YouTube channel too. The problem is knowing exactly how to design the room to make it perfect. The most important thing is to pick items that really suit our travels. 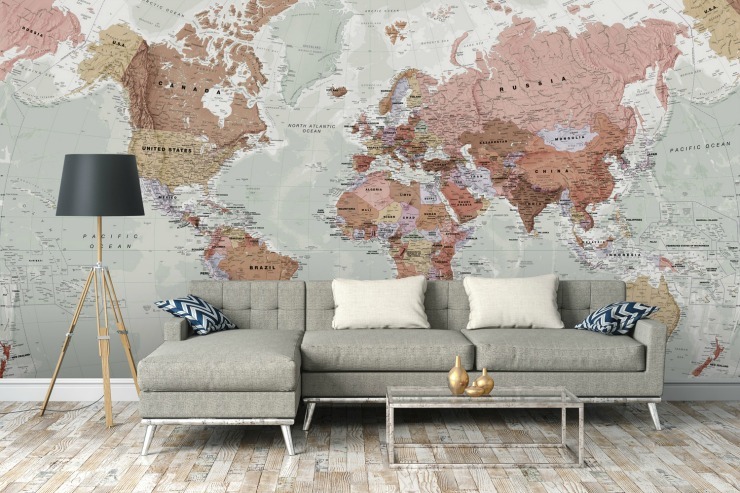 First of all, I’d love to pick up this world map mural from Wallsauce above and use it as a feature wall. I think the colour palette is gorgeous. This made to measure mural would certainly add interest to any wall space. Following on from that idea, I’d love a globe that I could have on a side table so that I could spin it and pick where we should go next - there are still so many places I’d love to visit, as would Mr W! I also think an ornamental compass and telescope would make a fab addition to the decor - we’ve all seen those age old films of people sailing the world, spying other boats with their telescopes and finding their way with the help of an old compass - they really epitomise travelling in the olden times and I’d love some ornamental pieces if I was to have a travel themed room. Whilst suitcases may seem cliche when it comes to travelling, there truly is so much you can do with your home decor with them. I’ve browsed Pinterest many a time and seen them being used as a corner piece or as some sort of side table. 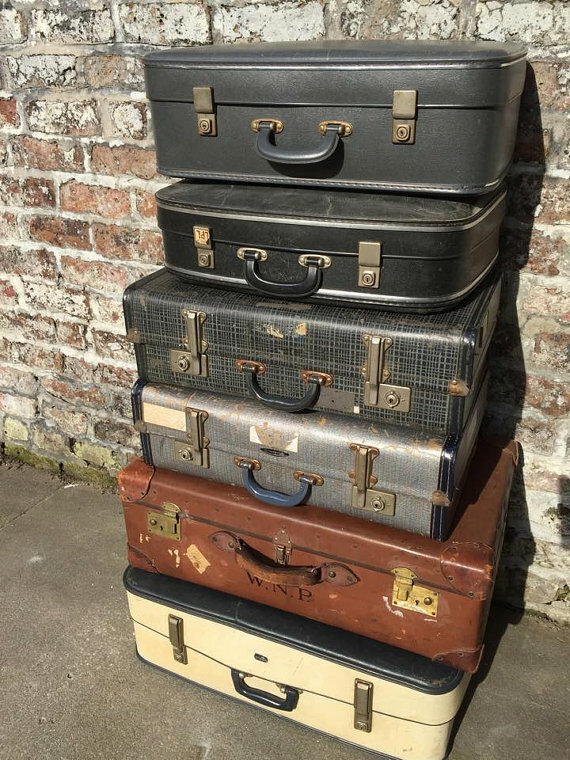 You don’t necessarily have to use full-size cases either to get the travel theme - smaller cases make for some perfect shelving and I’ve even seen people turn their suitcases into a gorgeous retro turntable. I’d love some vintage style prints postcards up on the plain white walls surrounding my feature wall - there is something so charming about vintage postcards, isn’t there? You can pick them up cheap in charity shops and boot sales. I find it intriguing thinking about where the person who wrote them must have been and what they got up to. They would make a great talking point. 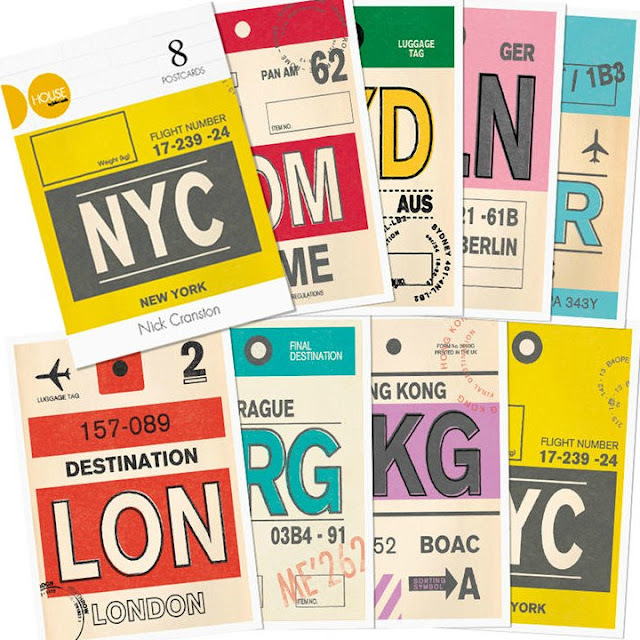 I've also seen some luggage label postcards that look very cool and retro too from John Lewis at the bargain price of £5 which would brighten up the room. 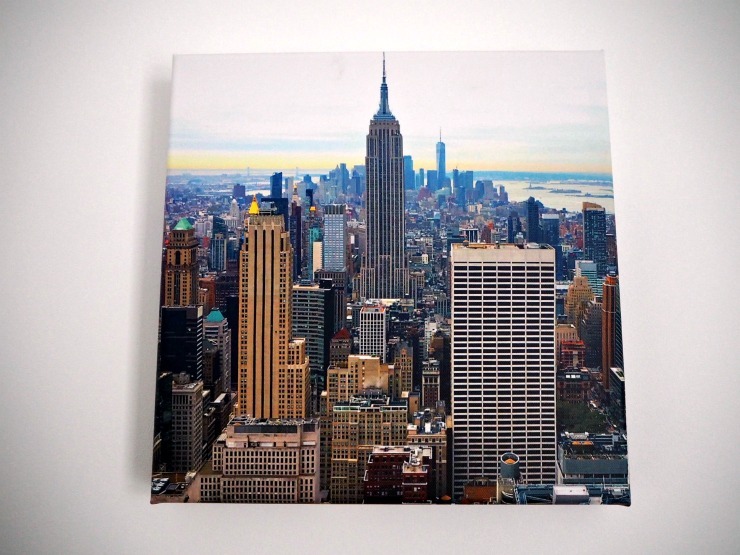 Finally, I recently I created a canvas of New York with my own photo which I adore so that would be the pride of place on the wall too. This was surprisingly cost-effective and how amazing is it to have your own photographs made into a canvas like this? There are so many cool items to decorate a room these days in a travel theme, all I have to do now is choose some and get decorating. Do you like any of these items? 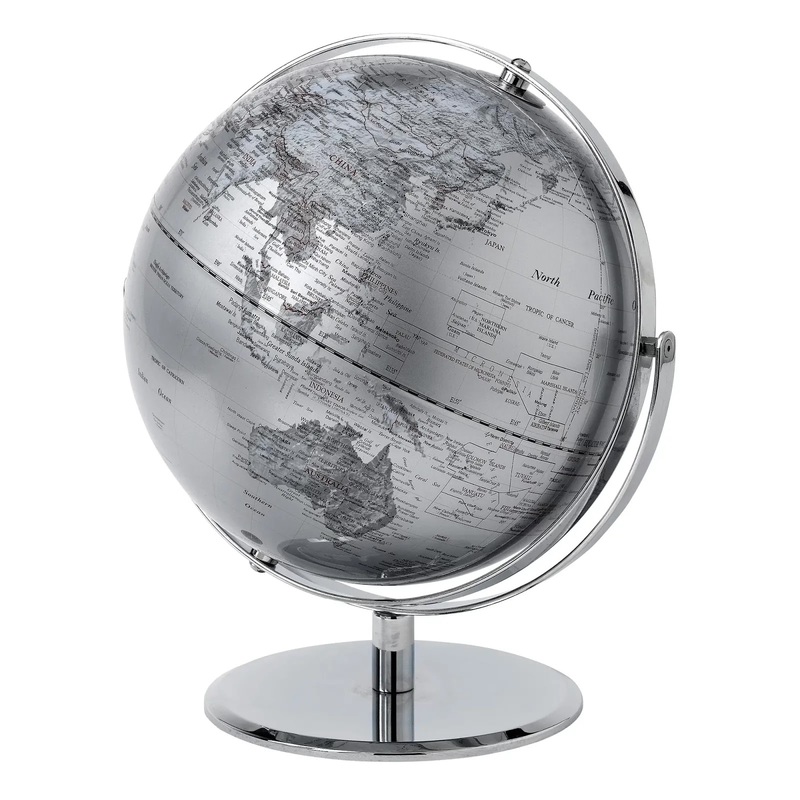 How would you decorate a travel themed room in your home? They are really cool aren't they? Oh I love the wall map, this would be perfect for my study!! It's a brilliant mural, I love it. I love going with a travel theme. It's not just for people who love to travel but those who would like to be inspired to travel as well. I like all your decor ideas! So adorable!